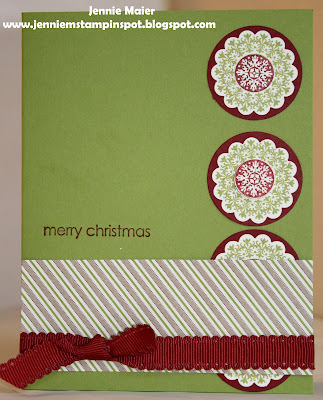 This Christmas card uses the Splitcoast Color Challenge#403 here. The colors to use are Real Red, Gumball Green and Basic Gray. Pennant Parade is the stamp set and there's some Gumball Green In-Color DSP. 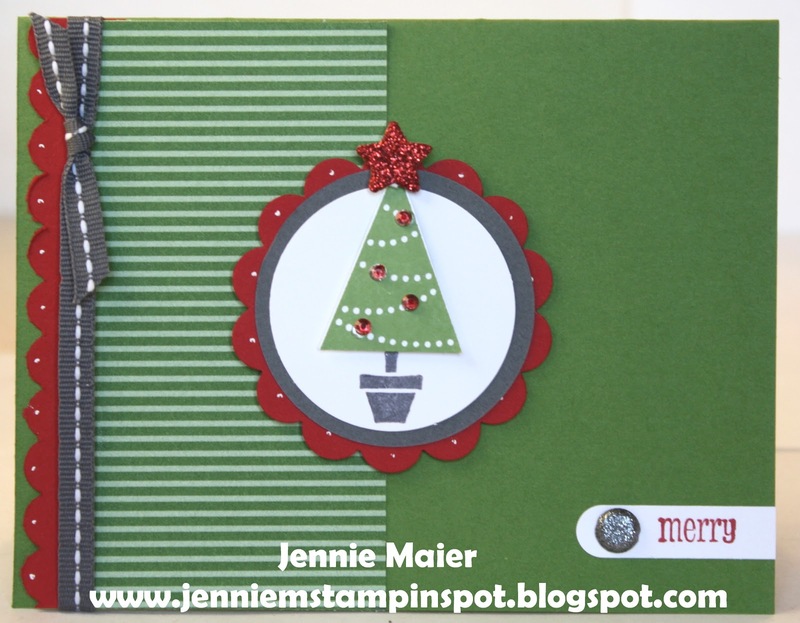 This super quick card came together thanks to the FabFriday Sketch#7 here. I used the Scentsational Season and coordinating Holiday Collection Framelits Dies. And more of the ever-so-versatile Festival of Prints DSP. Here's a quick Christmas card for the Clean & Simple Stamping FTL#218 here. 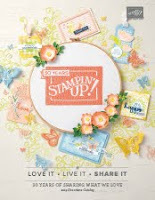 The stamp sets are Mixed Medley and Embellished Events. And of course some more of the awesome Festival of Prints DSP. This is my take on the MojoMonday Sketch#269 here. I used the Bold Snowflake single stamp and Teeny Tiny Wishes along with some Festival of Prints DSP. 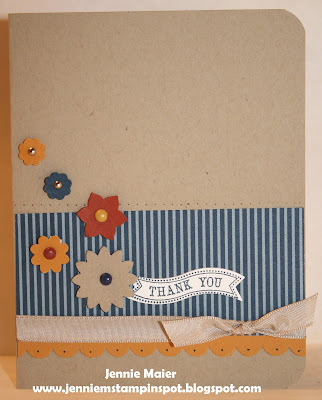 This thank you uses the Clean & Simple FTL#217 here. The stamp sets are Perfect Punches and Printed Petals with some Primrose Petals DSP. 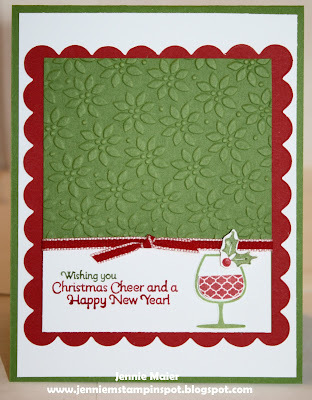 For this Christmas card I used the PPA Sketch#147 here. 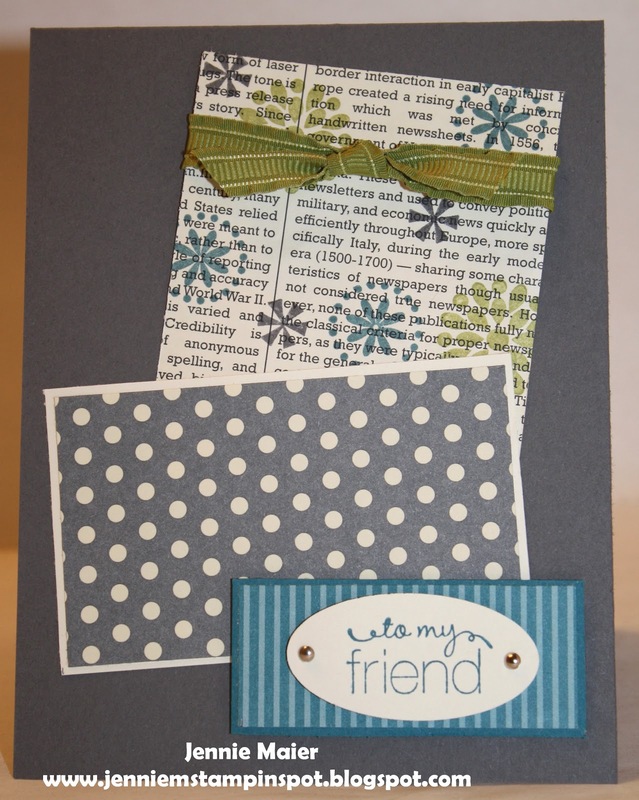 I used the Merry & Type and Mixed Medley stamp sets with some Festival of Prints DSP. And lotsa punches-see below! 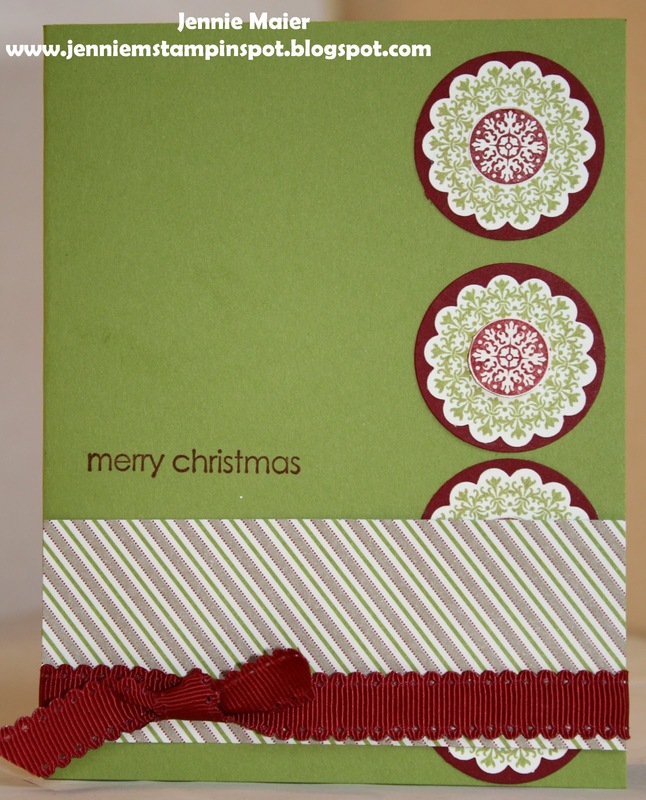 Here's a "non-traditional" Christmas card using the Splitcoast Color Challenge#402 here. The colors to use are Whisper White, Night of Navy and Perfect Plum. 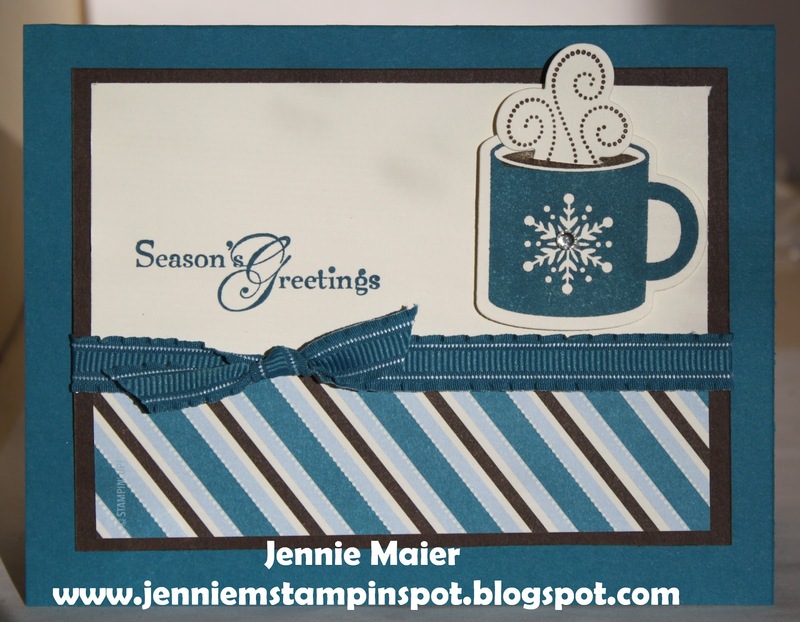 I used the Snow Swirled stamp set. 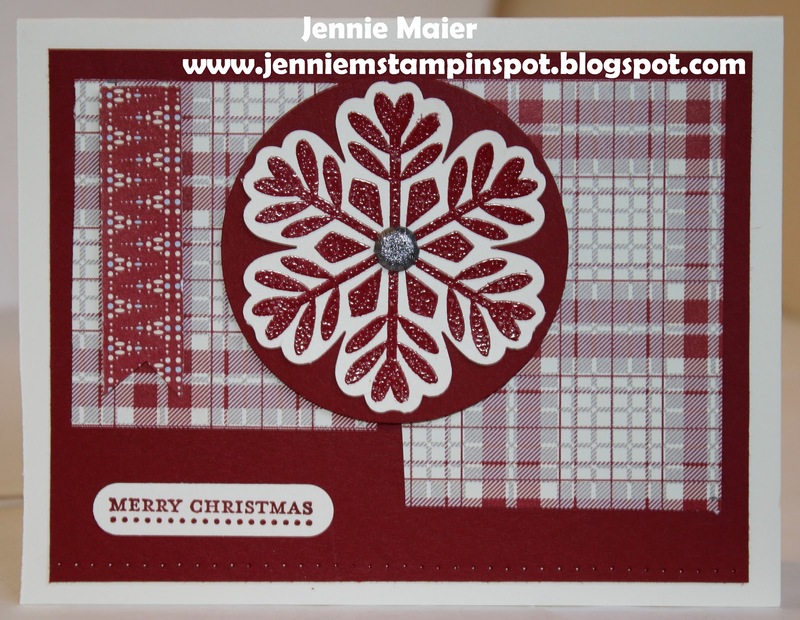 I'm back to Christmas cards cuz I need a lot of them so I used the Clean & Simple Stamping FTL#216 here. Happy Hour is the stamp set-on sale for 25% off now thru Nov. 28th! And I ran some Gumball Green card stock thru the Petals-a-Plenty embossing folder. The Real Red scallops were made using the Scallop Square Bigz Clear die and bit of cutting and pasting. It's my oldest child's 18th birthday today and here's a card in her honor! She is a beautiful, intelligent, funny, loving, wonderful daughter and we're so blessed to have her in our lives! Happy 18th Megan! I used the MojoMonday Sketch#268 here for this Birthday card. Create a Cupcake and Itty Bitty Banners are the stamp sets. By the way, you can get the coordinating punch to this set on sale for only $11.87 now thru Nov. 28th! There's also some Brights DSP Stack and Polka Dot Parade DSP. This one also uses a bunch of accessories, listed below. There's a great sale at Stampin' UP! starting today thru Nov 28th! 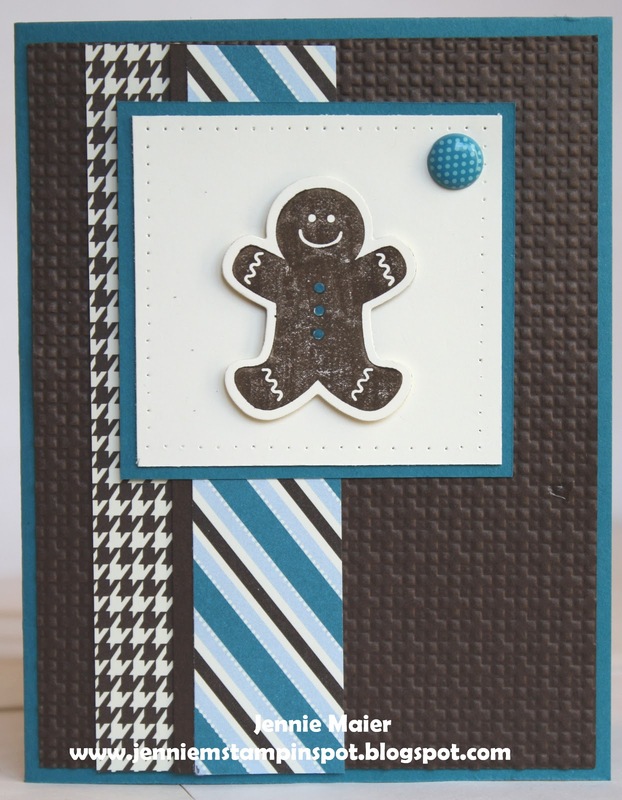 Today only, the Simply Scored Diagonal Plate, the BIG SHOT die-cutting machine and Big Shot Doctor's Bag are all 20% off! 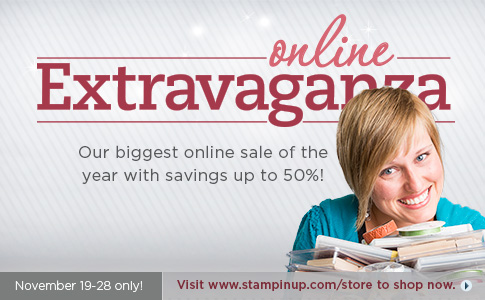 There are stamps, papers, punches, buttons, ribbon, boxes and more all on sale! 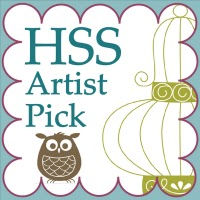 I used the Freshly Made Sketch #61 here for this quick card. 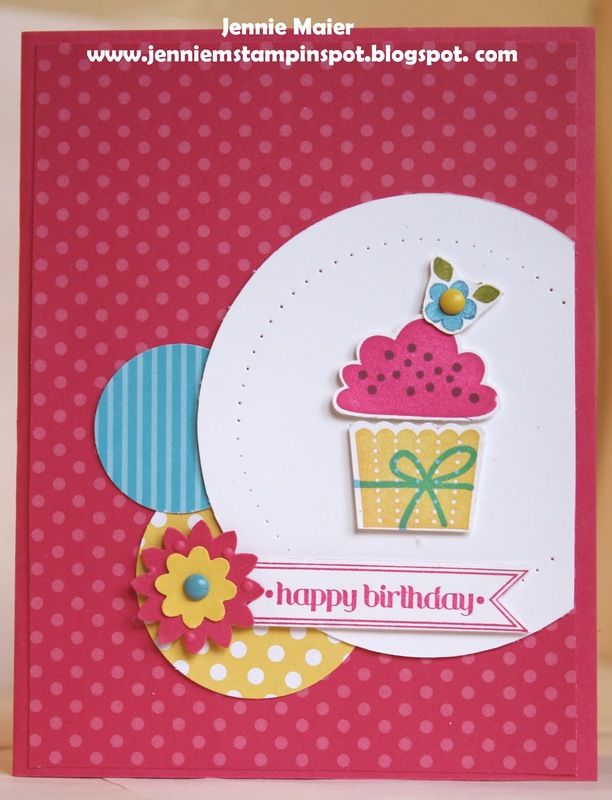 It's refreshing to make something other than a Christmas card, so luckily I needed a birthday card. 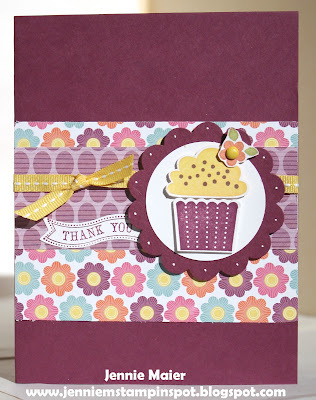 I used the Bright Blossoms stamp set and coordinating Summer Smooches DSP. 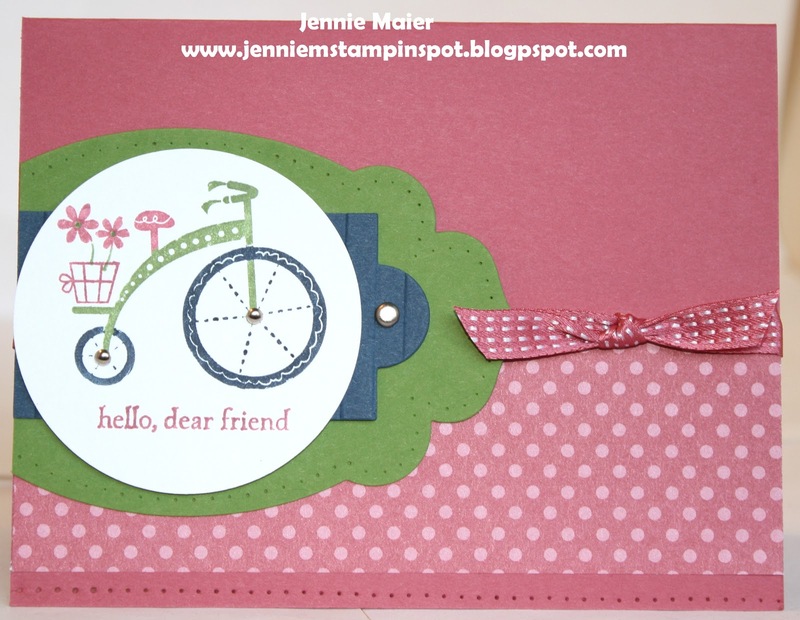 Also, the greeting is from the Friendly Phrases stamp set. This Christmas card uses the Merry & Type stamp set. I embossed the ornaments with some Silver embossing powder and thought that would look nice with some Basic Gray DSP Stack. This is my take on the MojoMonday Sketch#267 here. 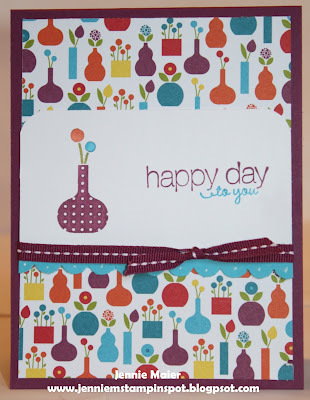 I used the Happy You stamp set with some Brights DSP Stack. I ran the white piece thru the Norther Flurry Embossing folder and added some Dazzling Details to the snowflakes. I recently bought the stamp set, Moving Forward. It's a really cute set and $3 gets donated to support Ronald McDonald House Charities each time the set is purchased. I thought these three In-Colors look nice together and I realize I neglect Primrose Petals. 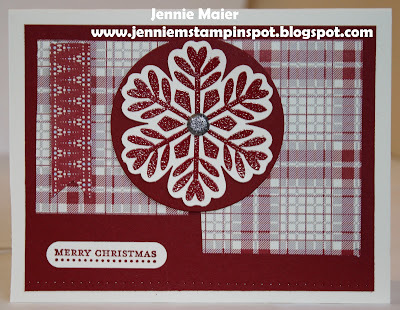 Here's a quick Christmas card using the Single stamp, Joy and some Festival of Prints DSP. I also used the small snowflake from Snow Swirled. This retro card uses the Splitcoast Sketch#410 here. And I combined it with the Splitcoast Color Combination#400 here. The retro part comes in because for this 400th combo, you can choose from one of three old color combinations. 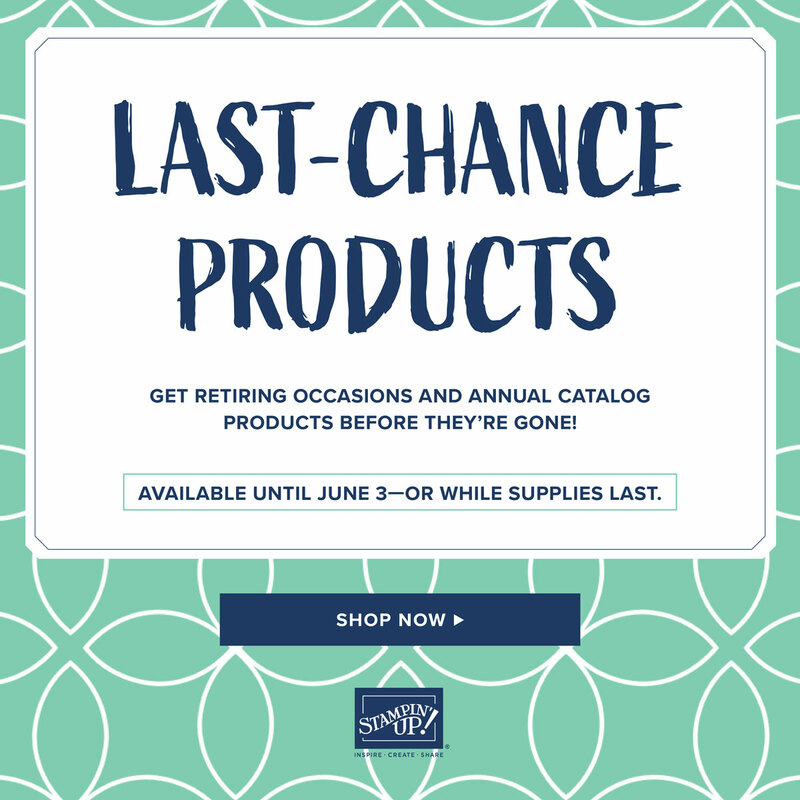 I chose CC356: Basic Gray, Island Indigo and Lucky Limeade. 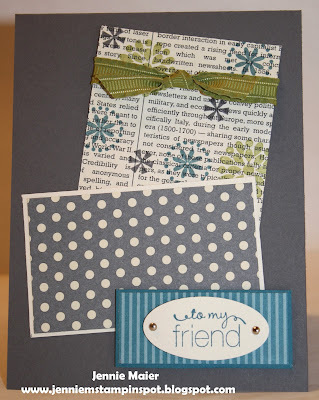 I used the Mixed Bunch and Friendly Phrases stamp sets. The papers I used are Howlstooth & Scaringbone DSP, First Edition Specialty DSP and some '11-'13 In-Color DSP Stack. 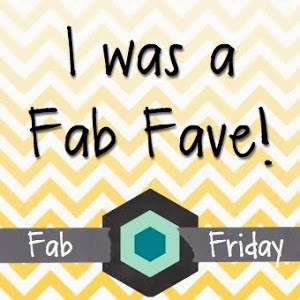 I made this thank you for the Clean & Simple FTL#215 here, and for the Fab Friday Challenge#6 here. It's a color challenge and the colors to use are More Mustard, Crumb Cake, Midnight Muse and Cajun Craze. I used the Itty Bitty Banners stamp set and matching Bitty Banners Framelits along with some In-Color DSP. 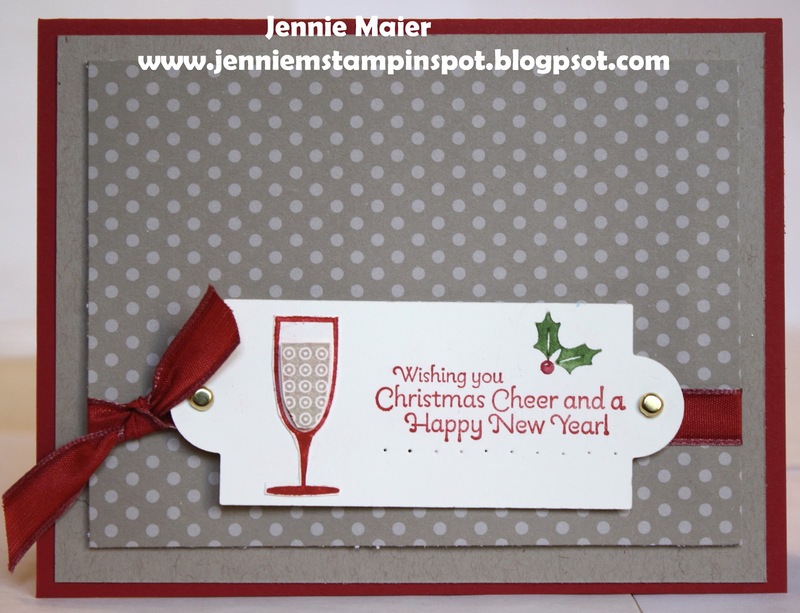 This cute and quick card was made for the Freshly Made Sketch#60 here. 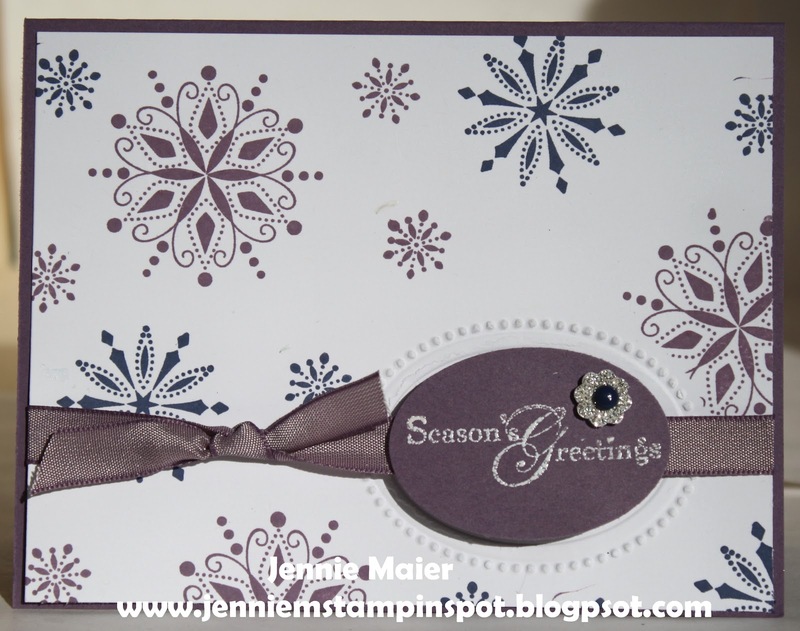 I used one of the new Single stamps, Bold Snowflake, along with the greeting from Teeny Tiny Wishes. And more of that great Festival of Prints DSP. 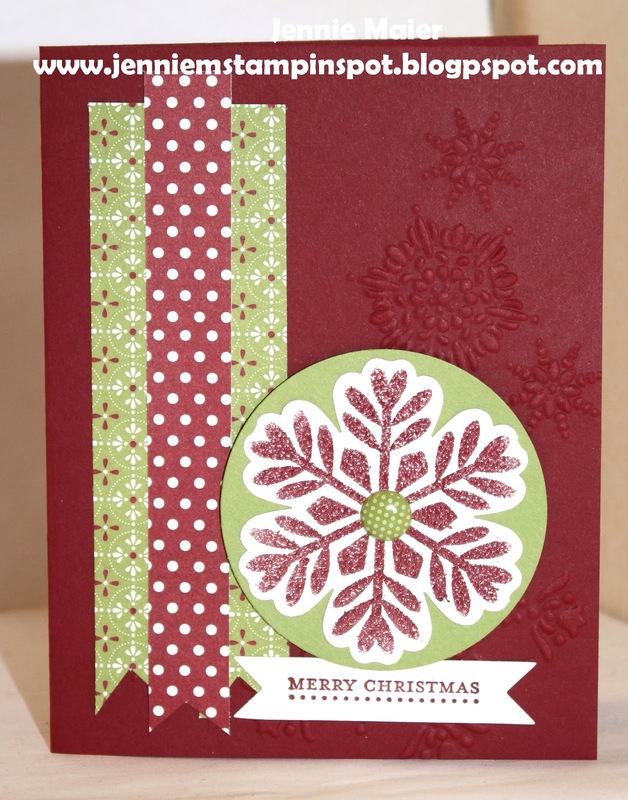 The Bold Snowflake was heat embossed with some Versamark and Cherry Cobbler embossing powder. The stamp also coordinates with the Blossom punch. 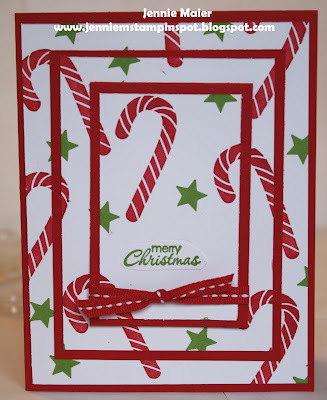 This Christmas card is for the Clean and Simple Stamping FTL#214 here. 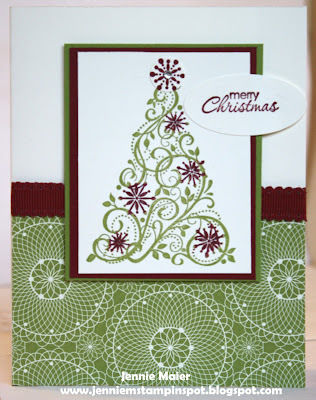 I used the Snow Swirled and Petite Pairs stamp sets with some Festival of Prints DSP. I used the Stampin' Celebration Inspiration Challenge#60 here for this thank you card. The colors orange and yellow really jumped out at me and so did the flower and leaf images. 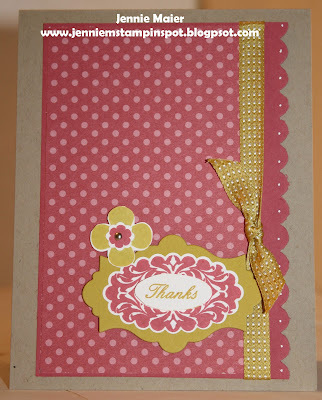 So I used the Betsy's Blossoms and Day of Gratitude stamp sets along with Petite Pairs. 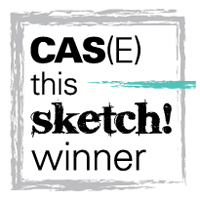 I made this card for the Splitcoast Sketch#409 here. I used the Scentsational Season stamp set with some Festival of Prints DSP. 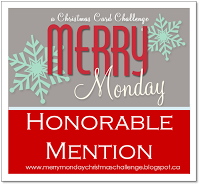 This card covers two challenges. 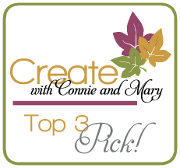 First, I used the Create with Connie and Mary Sketch#225 here, and second, the PPA Color Challenge#146 here. The colors to use are Crumb Cake, Very Vanilla and Riding Hood Red. 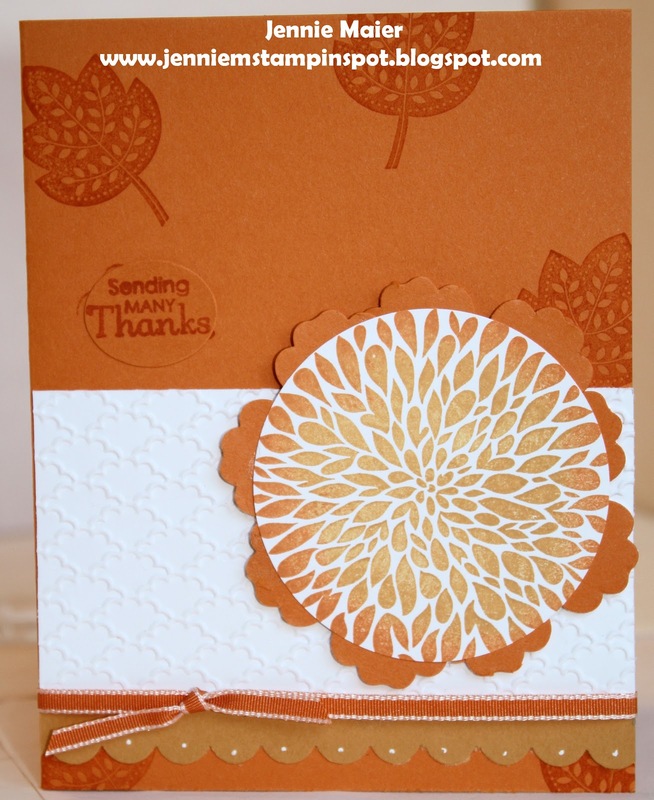 I used the Happy Hour stamp set with some Neutrals DSP Stack. 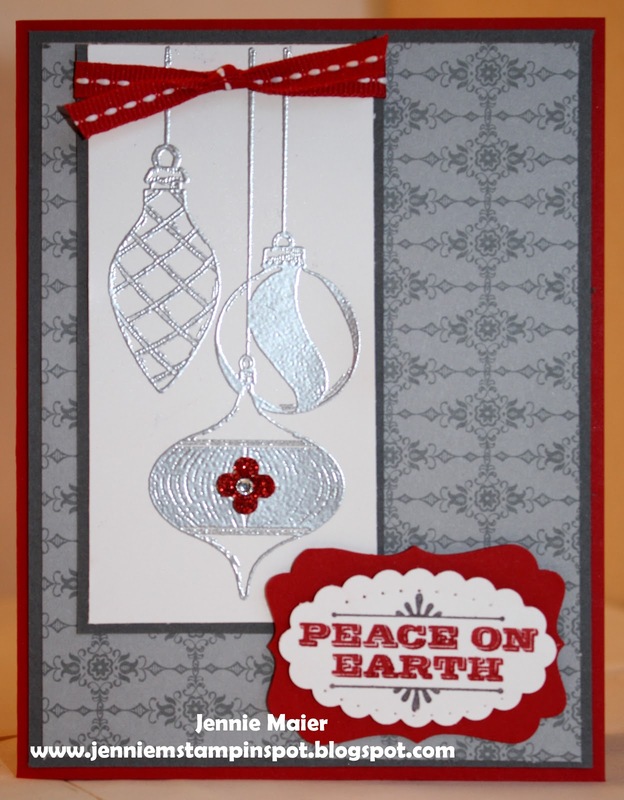 I tried this triple layer card technique with the Scentsational Season and Petite Pairs stamp set. It's really fast and produces a cute card, if I do say so myself. 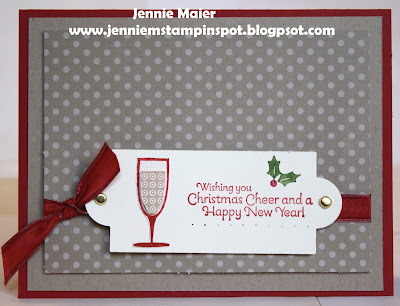 This Christmas card was made for the Freshly Made Sketch#59 here. 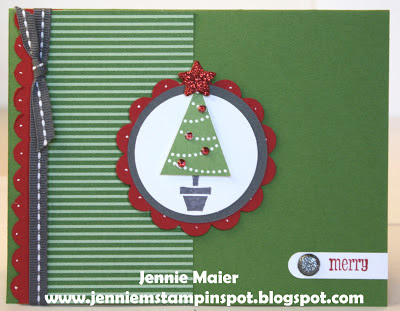 I used three stamp sets: Tags 'til Christmas, Merry & Type and Petite Pairs. And then some Polka Dot Parade DSP and some '12-'14 In-Color DSP Stack.